Stop Wondering If You Matter or Not Instead Build Your Confidence by Knowing Your Value! Have you ever gotten the feeling that nothing you say or do matters? I mean you’ve lived so much of your life in the crowd that you really don’t know if you would be able to stand out as an individual. Or have you lived years believing the lie that you are nothing and no one will ever listen to you? In fact, those around you remind you often through their ACTIONS and the way they treat you. Wouldn’t it feel good to walk around knowing that you have much to offer in a relationship, the workplace, the home, & the community? I remember when I was struggling with my identity and the way I saw myself. Not only did I feel I was powerless & could not offer anything meaningful in life, but there was a strong sense that I was second rate to those around me. Yes, I had an education and special skills, but when I looked in the mirror I could only see someone helpless & with no value. I had believed so many lies about myself that those very lies became my reality. It was not until I recognized that I was living beneath that I decided to change my life. I wanted to know what made me different, how I could get noticed among a crowd of people, and ultimately how God saw me when He looked at me. As I went through this journey, I wrote down each step of the process and would love to share it with you. 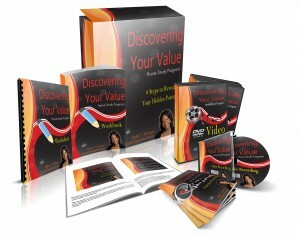 Introducing…Discovering Your Value – Home Study Program (4 Steps to Revealing Your Hidden Potential). 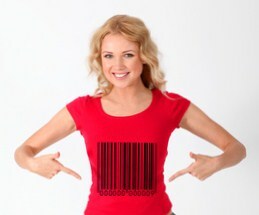 The Discovering Your Value Home Study Program will help you re-connect with your true identity and release you from years of deception concerning your worthiness and value. It provides the concrete steps you’ll need to understand who you are & what you were created to do. This home study program allows you to work at your own pace and in the privacy of your own home with easy download access. If you are ready for a confidence boost & step-by-step plan that allows your value to shine through, then get Discovering Your Value Home Study Program now! to my FREE eCourse "10 Strategies to Position Yourself as a Leader in Your Organization"